Coming from another location? Select Mapping choice below for directions. The office is located at 147 S. Virginia Avenue in Penns Grove NJ 08069. 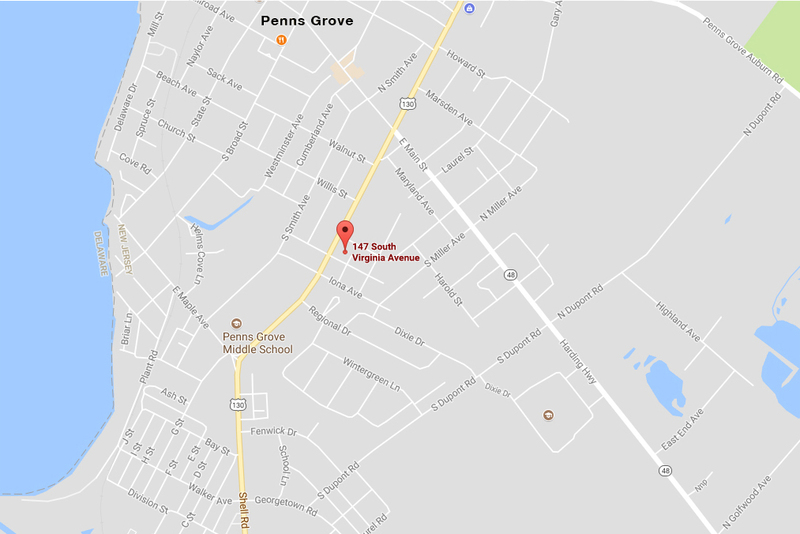 Take Route 49 through Pennsville and Deepwater. Continue into Carneys Point and Penns Grove. Agency is located on the right past the bend at the YMCA. Take Route 40 past Cowtown and bear right onto Route 48. Continue on Route 48 to Virginia Ave. (third traffic light). Make a left on Virginia Ave. Office is on the left about ¼ mile down the road. Note: When heading North on Route 49, it becomes Route 130 and then is also known as Shell Road & Virginia Avenue.